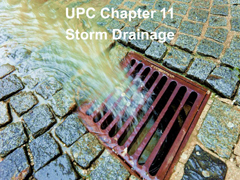 This course teaches all aspects of Storm Water Drainage. You will review sizing of roof drains, gutters downspouts and other conductors for convening rainwater for your specific location. A code book will NOT be needed for this class. Your completed course information will be sent to the NEW MEXICO AHJ the next business day.